As part of our Experiential Learning, our Summer Camp is a true play field for children to exercise their brain power, where the focus is more on applying the knowledge to understand real world problems, and on creating solutions. The camp runs for 8 weeks from July 4th to August 26th. The schedule will remain the same as a regular school day for each grade from Toddler to Elementary(closed during statutory holidays). Pre-care from 8 am is free and Post Care is available at 10$ a day from 3:30 to 5 pm. Cost of the Summer Camp Elementary: $1200 for the month plus $150 snacks and lunch for SK and above. Cost of the Summer Camp Preschool: same as regular school tuition for children aged 18 months to 4 years old, at $1300 for Toddler, $1250 for preschool, plus $150 snacks and lunch per month. Pre-care from 8 am is free and Post Care is available at 10$ a day from 3:30 to 5 pm. We are proud to cater our lunch from Whole Foods. Session 1: Coding is Fun! Students learn how to use simple programming language to design their own games. Students learn basic circuit concepts and essential electronic components. Students will enjoy controlling robots through coding and hold their own robot race competition. 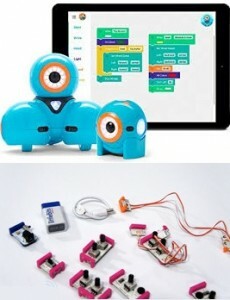 Students will leverage from the learning in previous weeks and put up their own robot show by integrating circuit boards, codes, Lego and robots, with their own scripts. While students work on robotics, they will spend time reviewing Math, Language Arts and Science concepts learned at school. Each week is designed such that mornings are academic and afternoons are for sports and outdoor exploration. Toddler Camp (18 Months to 48 Months) care and learning are offered using VINCI Creative Curriculum integrating Math, Language, arts and crafts. Each day, students accomplish a project while learning vocabulary, language and Math concepts. Contact the Admissions Office at (613) 842-7557 for more details.